"I started off as a massage therapist but quickly knew that I wanted to learn everything within the industry and become a Spa Director." Doreen Young is a living example of someone who has progressed beyond what is normally expected and allowed in their career. Born in Colorado Springs, Doreen spent much of her young life in Belgium and New Mexico. This curious and caring woman pursued psychology in college, leading her down a path of human wellness that has developed into 24 years in spa. 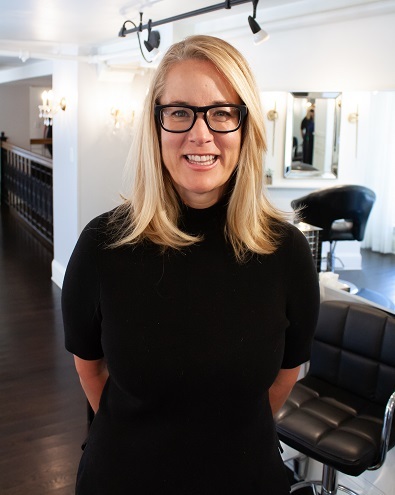 In the past year, Doreen moved back to her home state of Colorado and away from Flagstaff, Arizona, where she worked as Spa Director at the award-winning Mii amo destination spa. Doreen was not always Spa Director of the #1 destination spa in the U.S. As a testament to her hard work and ambition, she began as a massage therapist and defied the assumed confines of the role to become head of the spa. On top of working hard to elevate Mii amo and provide a once-in-a-lifetime spa experience, Doreen gave back by volunteering at a domestic abuse hotline. This humbling and impactful experience greatly impacted her view of helping others. Doreen loves hiking, getting facials, playing tennis, and piano – in fact, she says she’s been listening to the song Alaska by Maggie Rogers “non-stop” for weeks now! Doreen’s belief that a happy life can be derived from within each of us, as well as her inspiring story of success, are both worthy of recognition and application in the lives of so many others.